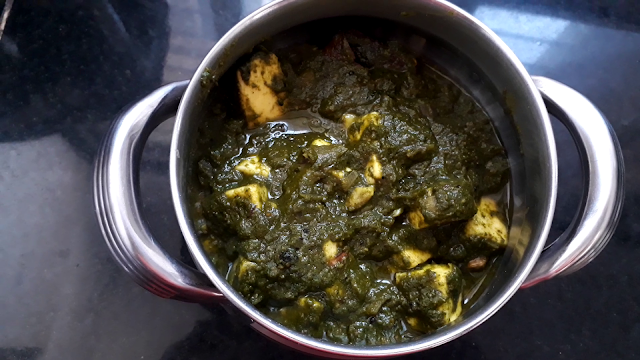 Palak paneer how to make palak paneer at home just in 20 minutes by the very simple way. 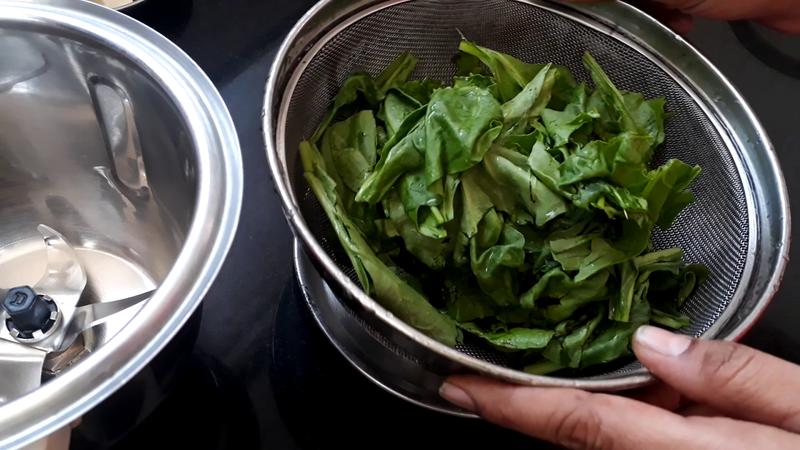 Dhaba type palak paneer at home in an easy way in just 20 minutes. 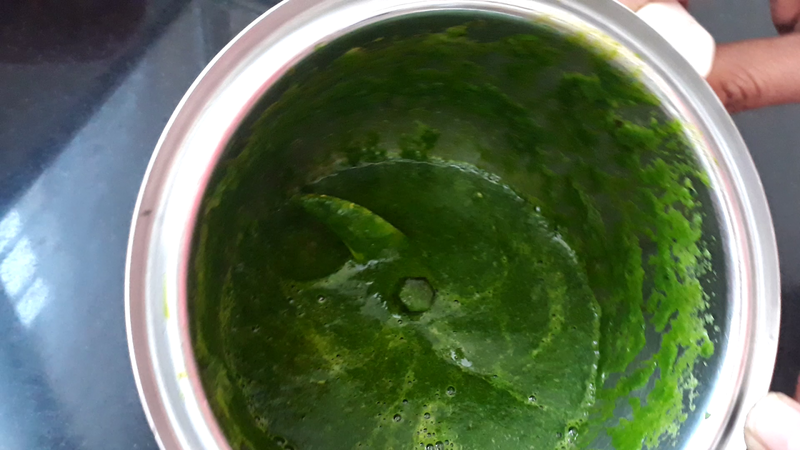 Here I suggest that don’t blanch your palak leaves if you want the dark green color of it as it is after cook also and second one don’t put lead or any cover on it at time of cooking it also dims down its color. 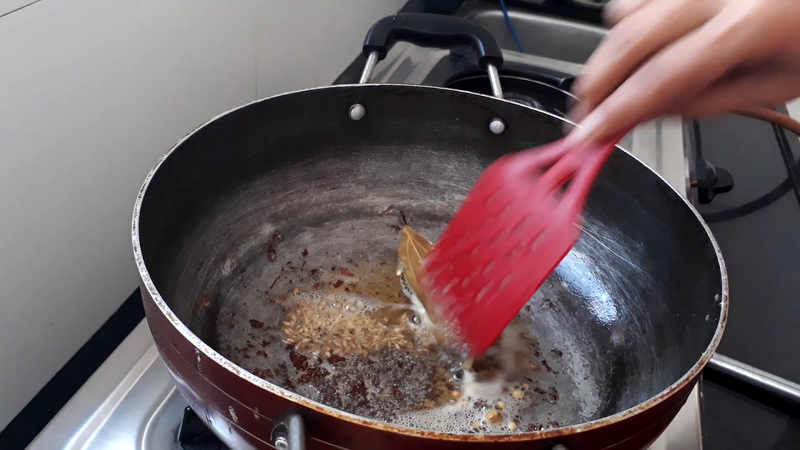 Here we are using dry mango powder replacement of tomatoes. 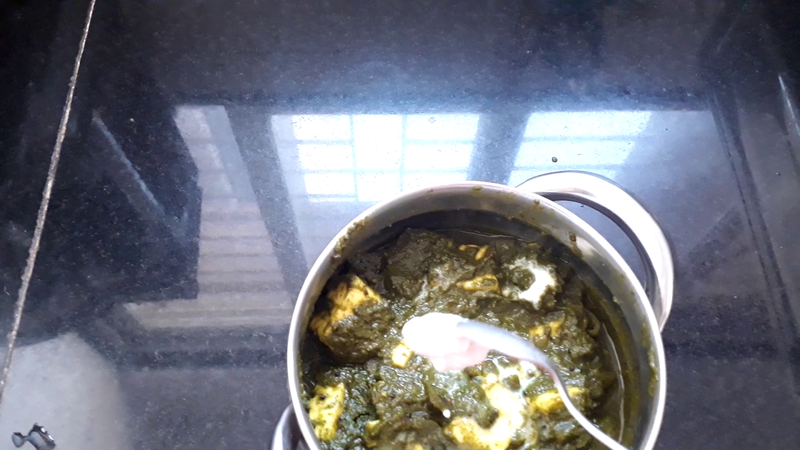 Dry mango powder gives a good taste to palak paneer subji. 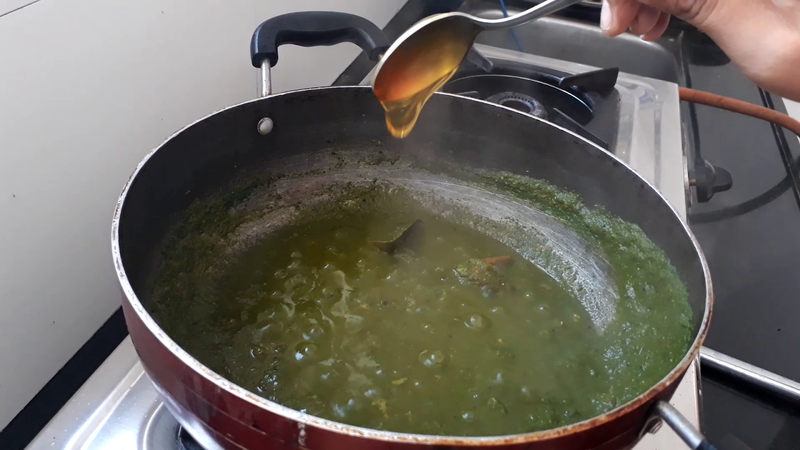 If there is some sourness to this subji then some sweet taste in it puts “4 chand “ to this subji which we give it from honey yes we are using 1 tsp honey in this subji for some sweet taste. We have paneer in it for creaminess but we are also using some fresh cream to get the creamy taste. Coriander ½ bunch for garnishing. 1. 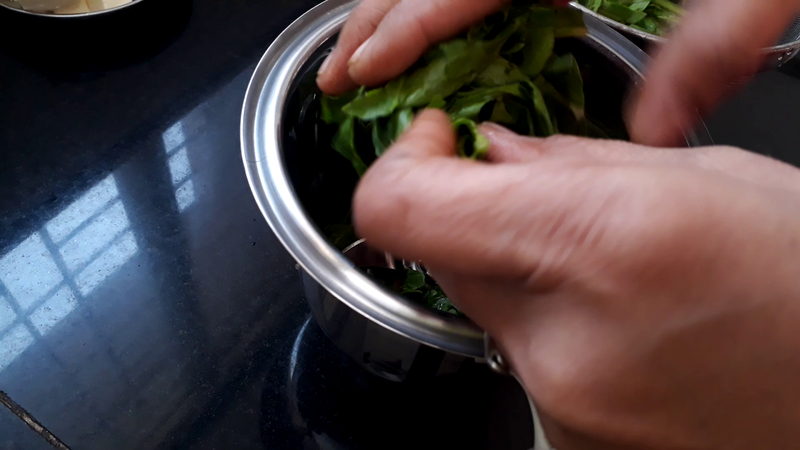 Wash spinach well and crush it by your hand and put it into the blender jar. 2. Make a fine puree of it and keep it aside. 3. Now switch on the gas and put kadhai on it. 4. Add butter in it. 5. 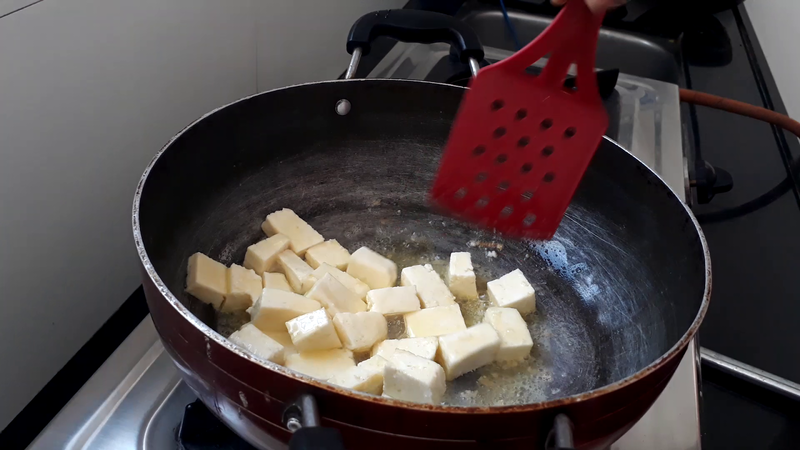 When butter gets heated then put all paneer cubes in it and fry it for 1 minute. 6. Take out paneer cubes from kadhai and put it into a plate and keep it aside we use it later. 7. Now In the same kadhai put khada masala and sorted it for few seconds. 8. Then add mustard seeds, and cumin seeds in it and fry it for few seconds. 9. when it splutters then add chopped garlic in it. Sorted it for few seconds till it becomes brown. 10. 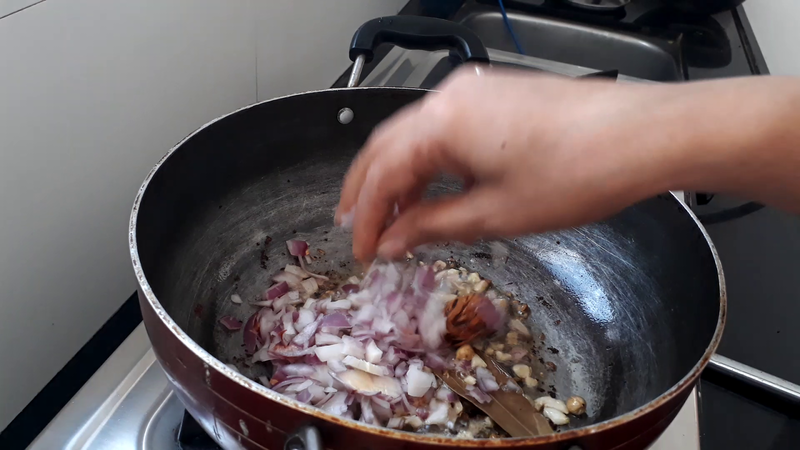 Then add chopped onion and keep it stirring till becomes brown. 1 11. 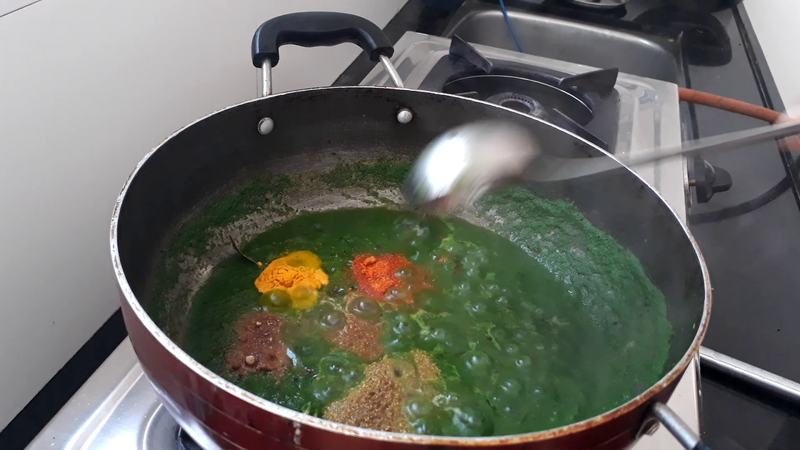 When it gets brown then add palak puree in it and cook it for 7 to 8 minutes. 1 12. Don’t put lead on it. Just cook it opened. 1 13. Then add all masala powder in it and mix it well. 1 14. Then add salt in it and mix it well. 1 15. Now add honey in it and mix it well. 1 16. Now add paneer cubes and mix it well so that all puree coats to the paneer cubes. 1 17. 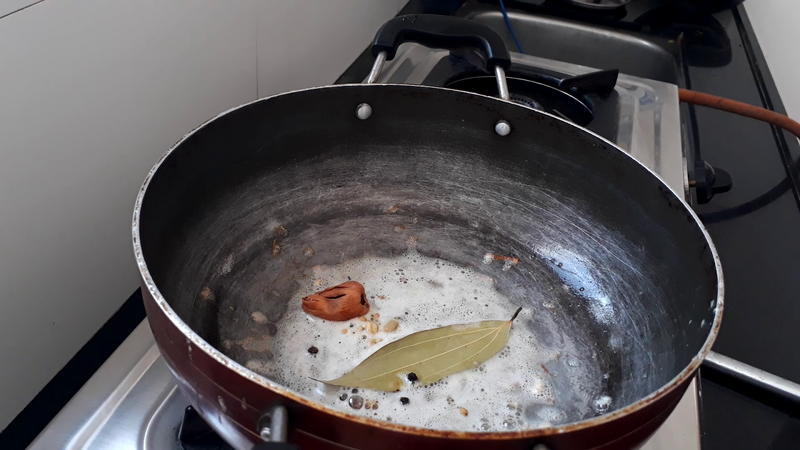 Now cook it just for 2 minutes and then switch off the gas. 1 18. Take out it serving bowl and serve it by sprinkling coriander and putting cream on it. And serve it hot. 11. 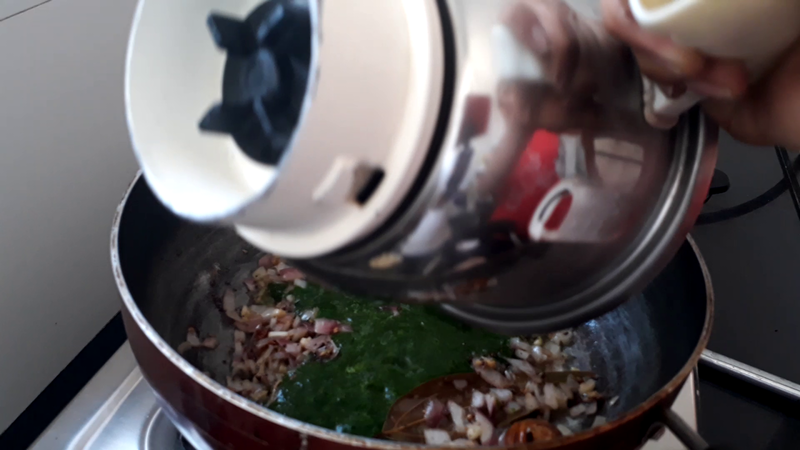 When it gets brown then add palak puree in it and cook it for 7 to 8 minutes. 12. Don’t put lead on it. Just cook it opened. 13. Then add all masala powder in it and mix it well. 14. 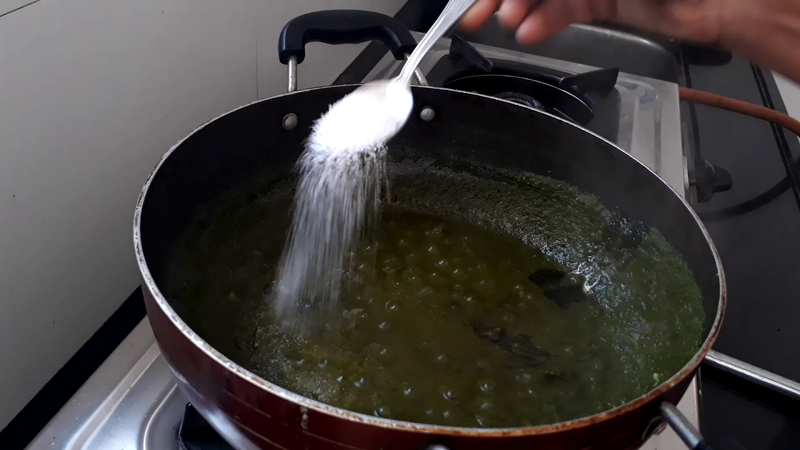 Then add salt in it and mix it well. 15. Now add honey in it and mix it well. 16. 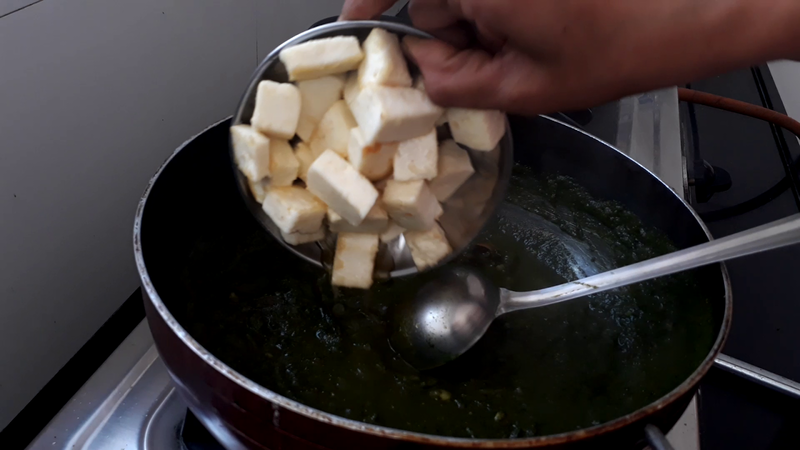 Now add paneer cubes and mix it well so that all puree coats to the paneer cubes. 17. 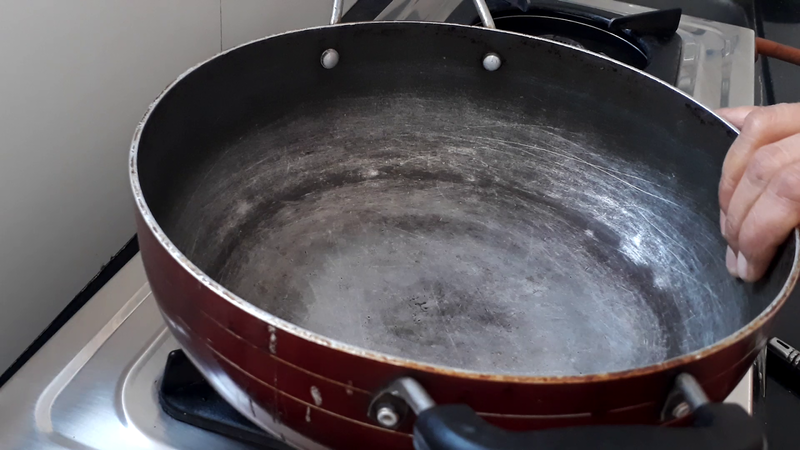 Now cook it just for 2 minutes and then switch off the gas. 18. Take out it serving bowl and serve it by sprinkling coriander and putting cream on it. And serve it hot.